full list of features and see how MasteryConnect can benefit you. Through MasteryConnect’s MasteryTracker, teachers can effectively assess core standards, monitor student performance, and report student mastery to parents and administrators. 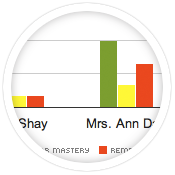 Real-time Mastery Status – Visualize student performance relative to the core with the traffic light approach of red, yellow, and green mastery status. Curriculum Maps – Mix and match standard sets, create custom standards, and easily drag and drop standards into any sequence. Multi-standard / Benchmark Assessments – Administer district-created or teacher-created benchmark assessments. Utilize third-party item bank content. State and Common Core Standards – Convenient 'View Standards' links helps teachers stay focused on teaching and assessing core standards. Standards-Based student reports – Integrated standards-based reports provide real-time information about mastery to students and parents. Integrated Standards resources – Easily view resources and content tied to both state and Common Core standards. Remediation / Re-teaching – With focus on individual standards, teachers can easily identify which students are struggling to understand a concept. Response to Intervention (RTI) – With simple reports and the mastery tracker, identifying students for tiered interventions has never been easier. Common assessment sharing is FREE for all teachers. Teachers sharing common assessments saves everyone time. Share assessments of any curriculum type such as multiple choice, open-answer, rubrics, writing and oral assessments. Upload any document type – Assessments can be uploaded in any digital format including Microsoft Word, Adobe PDF, or OpenOffice. Discuss and Collaborate – Take your PLC online with discussion tools around common assessments, standards, and data. Automatically add to the mastery tracker – Instantly add assessments to your mastery tracker for immediate grading and feedback. Modify and Remix Assessments – Download and modify teacher-created open educational resources (OER) to make valid for your class. Re-upload and share back with the community. Powerful filtering & peer review – Powerful filtering tools help you get to the best and most used assessments. View assessments that have been peer reviewed by teachers just like you! Privacy Controls – Maintain control over the privacy of your assessments and keep private to yourself. Share assessments within just your school/district, or share with the entire MasteryConnect community. Formative assessment item bank – Easily create custom benchmark / interim assessments and standards-aligned common formative assessments. 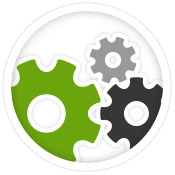 MasteryConnect offers third party item banks as well as the ability to import item banks that you create. Technology enhanced items – Deliver technology enhanced items (TEI's) on tablets, mobile devices, and through a web browser. Prepare students for the new PARCC and SBAC assessments. Pin and discover standards aligned resources. Discover standards aligned resources – Quickly filter "pinned" resources by standard. Re-pin to your own pin boards. Pin from any website – Use the Pin Resource bookmarklet or Chrome extension to pin from any website. Or pin directly from a URL. Upload images, docs & videos – Grab an image or video from any website, or upload a document in Microsoft Office, PDF, or OpenOffice format. Create resource boards – Pin and re-pin to your own boards. 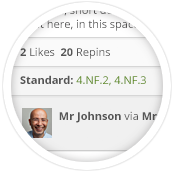 Create a collection of pins based on alignment, class, material-type, or any category you choose. Playlists for students – Flip the classroom! Create playlists for students of pinned resources. Connect resources to curriculum maps – Align materials and resources in your curriculum maps and share the maps with your team. Teachers can join the Learning Community for FREE! MasteryConnect takes the work out of practicing a Professional Learning Community and lets teachers create their own Personal Learning Network. Personal Learning Network – Create your own personal learning network and follow other teachers. News Feed – Check your news feed often to stay up to date with the teachers you are following. Private Messaging – Send direct messages to teachers in the Learning Community and have private conversations. 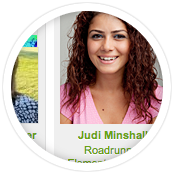 Personal Profile Page – Share your bio, school, and other information as well as let people see your news feed activities. Time-Saving Assessment Tools give teachers their time back. MasteryConnect's assessment tools provide multiple ways to give formative and benchmark/interim assessments, and makes grading automatic and fast. 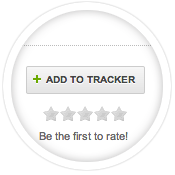 Scores appear in real-time right in your MasteryTracker. GradeCam™ Bubble sheet Scanning – Scan plain paper bubble sheets right from your web or document camera and grade instantly! Masteryscan App – Scan plain paper bubble sheets using the camera on your iPad with the FREE MasteryScan App. Bubblesheet Assessment App – Go paperless and give assessments that you create on any tablet or mobile device. Deliver any assessment item type including technology enhanced items. 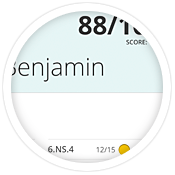 Browser Assessment & Scoring – Give assessments through any web browser on a Mac or PC and instantly score in the MasteryTracker. Instant Data & Reporting – Get immediate feedback through instant reports such as item analysis and real-time mastery reports. 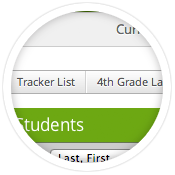 Gradebook / SIS Export – Automatically export scores to ANY gradebook or Student Information System. School/District Reporting for teachers, parents, and admins. Get real-time information right from the classroom about standards that have been taught and assessed. Teachers can easily compare and collaborate around data driven by common assessments. Collaborate around common assessment data – Empower your team conversations by providing reports to compare common assessment data. Parent Communication – Parents can easily view the standards being assessed as well as the student mastery and progress of each standard. Multi-Standard/Benchmark Reports – Reports for multi-standard & benchmark assessments provide the ability to compare data across standards. Standards Reports – Easy-to-read charts and graphs show real-time progress of core standards that have been mastered, and student progress over time. Synchronizing roster information, demographics and other key data for reporting. Data and single-sign-on API's allow you to connect your MasteryConnect data to school and district dashboards or data warehouse systems. Student Information System (SIS) Integration – SIS integration works with most major systems out there and is included in your purchase of MasteryConnect. Single-Sign-On Authentication API – MasteryConnect provides authentication tools that allow single-sign-on capability from any tools or systems that you have developed. Data Warehouse & Export API – With our simple REST API, you can quickly connect to all your assessment data and pull that data into other systems such as a data warehouse. LTI Integration – Seamlessly connect with any LMS platform with LTI 1.1 support.